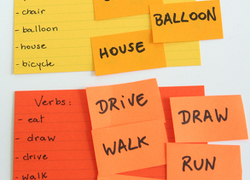 Take parts of speech practise outside of the classroom with this fun preposition scavenger hunt! Grammar gurus, teach your child about an important part of speech with a fun crossword puzzle! Possessive pronouns show who or what something belongs to. Match each adjective to the noun it describes, then find a path through the maze to connect them! Practise spelling singular nouns correctly as plural nouns ending with s and es. Beat boredom with this ensemble of printables! 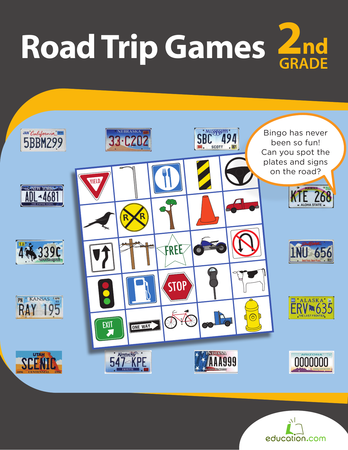 Kids will be occupied for hours with bingo, fill-in-the-blanks and different license plate games. Beware: they may result in spelling and maths practise. If your child likes the zoo, heâll love this workbook, filled with cute critters. 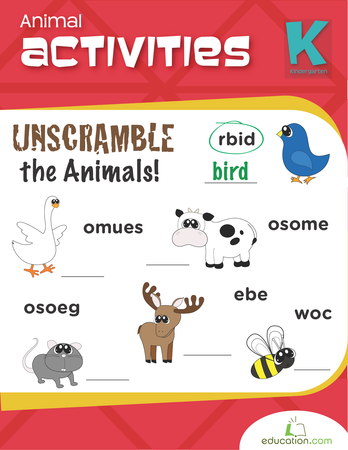 Activities such as crosswords, sentence writing and matching games help with reading, writing and cognitive skills. Have fun with grammar and decode these scrambled adjectives, all starting with the letter A! 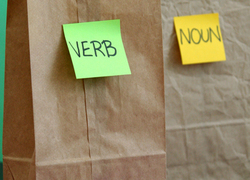 This is a great way to work vocabulary and spelling skills. How many nouns can you find? Kids can pick a room inside or go outside and identify as many nouns as they can. Remember: people, places and things all count! Team up with your second grader to complete this mini crossword puzzle using adjectives that start with the letter "F". Parts of speech can be a difficult and dreary concept for many kids, but you can quickly turn that feeling around with this fun game. Here's a silly game that uses nursery rhymes to introduce a big concept in year two reading and writing: learning about nouns and verbs.